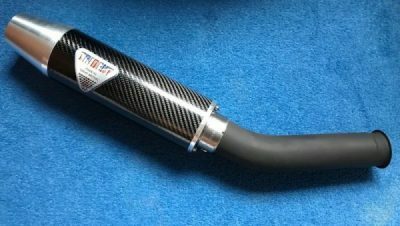 For the later model of the 675 we have the very best option for your new exhaust; a great sounding high powered carbon stubby pipe that fits easily, look beautiful and increases power throughout the rev range. This ultra lightweight pipes saves 5Kg off this already featherweight bike and adds around 5 bhp. It sounds fantastic without being overly loud and slip ons in minutes.